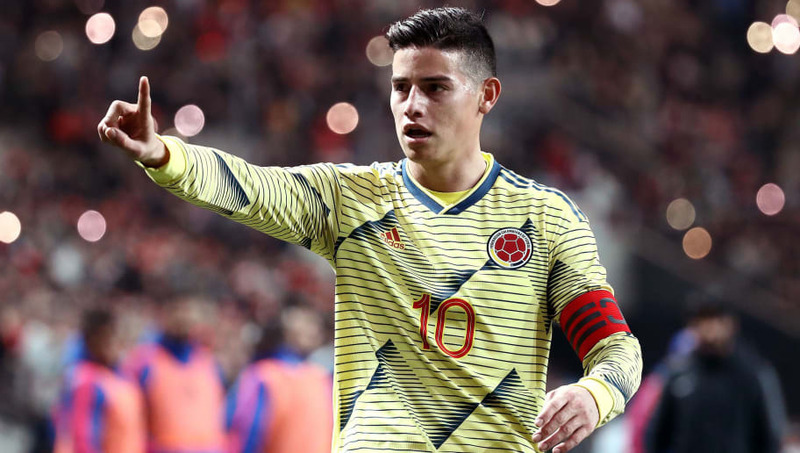 ​James Rodriguez's father-in-law has claimed that the Colombian would be very interested in a move to Napoli if he finds himself looking for a new club this summer. Rodriguez is currently on loan at Bayern Munich from Real Madrid, but it is thought that neither side are keen to retain him for next season. Speaking to ​Radio Kiss Kiss Napoli, ​Rodriguez's father-in-law, Hernan Ospina, admitted the 27-year-old would love to reunite with manager Carlo Ancelotti, who has worked with Rodriguez at both ​Real and ​Bayern. He said: "I think James would like one day to play in Italy and of course in a club like ​Napoli. All Colombian players would like to have an experience in ​Serie A, there are many who are doing very well, like [Juan] Cuadrado and [Duvan] Zapata. "The appeal of the league has increased a lot even after the arrival of ​Cristiano Ronaldo at ​Juventus. It is a competitive league. "My daughter confirmed to me that James and Carlo Ancelotti have a very strong relationship. I hope that he will come to Naples with this coach as soon as possible and I believe that Carlo Ancelotti wants the same thing. I imagine this solution would appeal to James but also to the whole family." Ancelotti was in charge of Real when they completed the £63m signing of Rodriguez in 2014. However, he soon found himself out of the team and, after two seasons as a reserve, he was sent on a two-year loan to ​Bundesliga giants Bayern in 2017, where he again joined up with Ancelotti. However, the Italian moved to Napoli last summer, and Rodriguez's future is once again up in the air. He still has two years remaining on his contract with Real, but Los Blancos are keen to sell him to raise funds for a hectic summer transfer window. The likes of ​Eden Hazard and ​Paul Pogba are high on their wish list, and selling Rodriguez would certainly add a sizeable amount to Zinedine Zidane's transfer kitty.